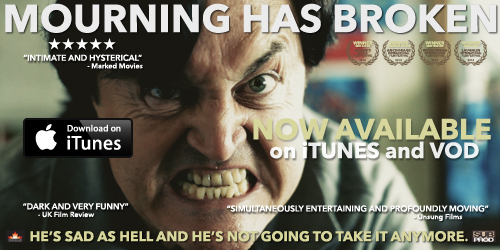 Valentine’s Day has come early at SubProd as the critically acclaimed feature Mourning Has Broken is now available on iTunes in 47 countries! Now is your opportunity to watch what Unsung Films called a “simultaneously entertaining and profoundly moving” film and Marked Movies gave 4 STARS to while calling Mourning Has Broken “intimate and hysterical”. CLICK HERE for the iTunes link and thanks for the support!